The Diputación de Barcelona, within the LIFE-Tritó Montseny project, carries out a series of actions to safeguard the habitats where the Montseny newt is currently present. Within the framework of the LIFE-Tritó project, it is important to know the hydrological and chemical characteristics of the streams where the species lives, as well as to evaluate possible areas for its reintroduction. Also, it is of paramount importance to evaluate the suitability of the habitats in future scenarios of climate change. 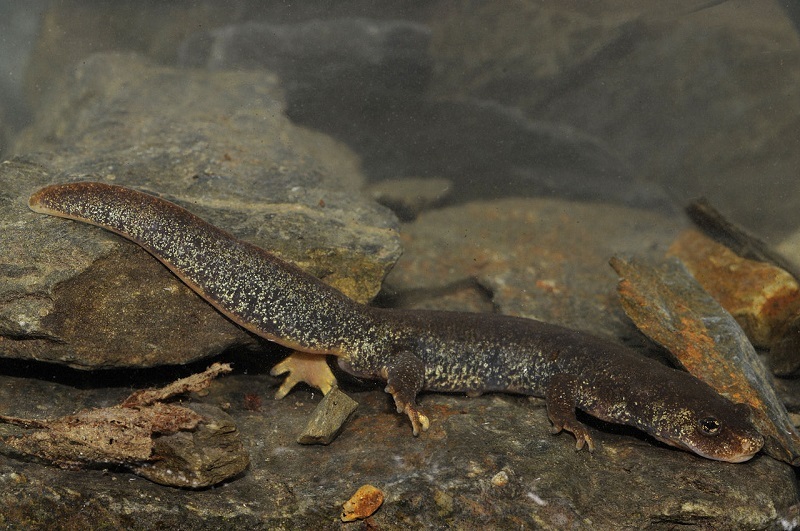 The main objective is to improve the conservation status of the Montseny newt (Calotriton arnoldi), an endemic species of the massif, by managing the riverbank habitats of Montseny streams to increase their resilience in the face of the changes that are affecting the Mediterranean ecosystems. To acheive that, streams in Montseny susceptible to the potential reintroduction of Calotritonvarnoldi will be sampled and their basic chemical composition analyzed. Based on these data, geographic models will be evaluated that should define the potential scope area of distribution of the Montseny newt.